Inking Idaho: It's the First Day of Our New Catalog! Happy July Stampers! I hope you are all enjoying a beautiful holiday weekend. If you are in the Boise area, don't forget today is my Open House. Today is the big day! It's the first day to order from the brand new 2017-18 Fun Stampers Journey annual catalog. Isn't this a gorgeous catalog cover?? I love these flowers! You can view this little beauty HERE and when you have your wish list ready, please place your order HERE. 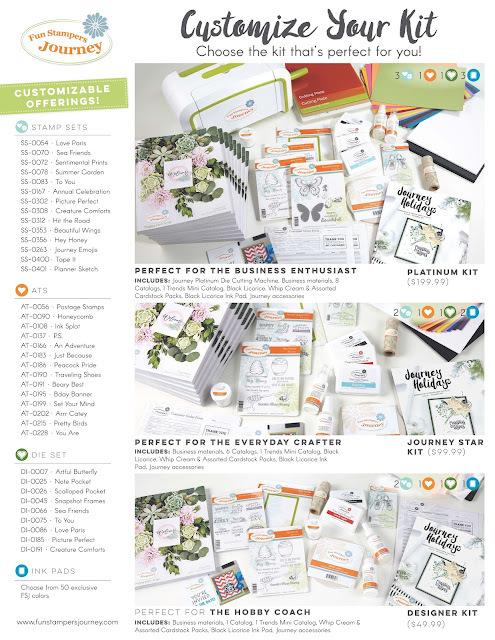 Be sure to check out the Journey Days on page 228, Journey Media on 252, Journey Colors on 300 and Journey Collection on 312.
o many cool products to play with!! My new INKing the Way team is growing fast and I would love for you to join us! 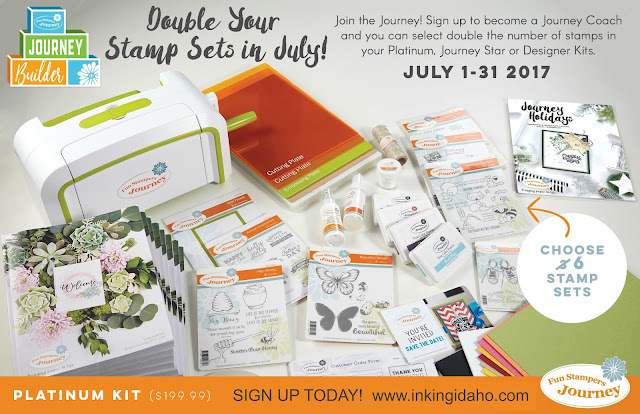 DOUBLE STAMPS ON ANY STARTER KIT! Check out these starter kits! Three kit choices - Platinum Kit (absolutely the best value! ), Star Kit and Designer Kit. 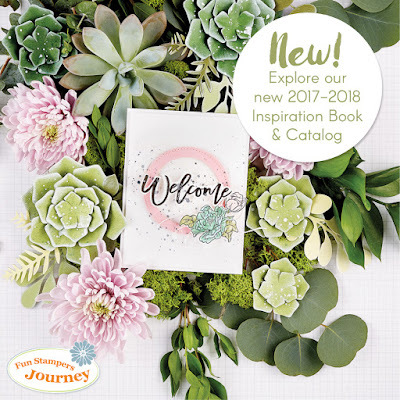 Would you like a copy of the Fun Stampers Journey Annual Catalog? Click HERE. Shop Fun Stampers Journey from the convenience of your own home at my Online Store. View the catalog HERE. Be sure to check out the Clearance Rack! 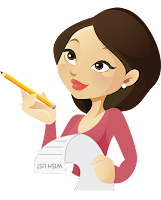 Earn FREE Stamps with Becky - click HERE. I was looking at the catalog and was wondering what colors were used on the samples on page 79? I also didn't notice a paper package of the various color groups without buying an entire package of each color...am I correct? I will be ordering once I figure out colors I need. Thank you. There is not an assortment pack but there are color collection bundles under each color family. The colors are Rich coral and Pineapple Smoothie.